Are you in the habit of taking risks? Do you actively seek out opportunities to put yourself out there and go after what you want on a daily basis? If not, then stay tuned, because today, we’re going to discuss how to get over your fear and start proactively taking risks. 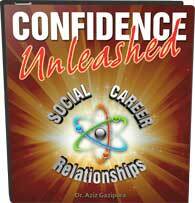 Not only will this make your confidence skyrocket, but it will also positively influence every area of your life. To take a risk requires some level of confidence, but we can’t build up that confidence without taking risks. The more risks we take, the more confidence we generate, and the more confidence we generate, the more risks we’re willing to take. It’s an endless cycle that feeds itself. The purpose of this video is to orient you to start taking those risks. Here’s the thing: you’re going to have to take a risk eventually. No matter which way you slice it, you will have to take a risk someday. There is absolutely no avoiding it—life just has a way of pushing you forward. Life is change. I have a client whose father owns a business. My client has been wanting to get involved with the business for some time to help out with marketing. For years, his dad has only advertised in the Yellow Pages, and that’s what he’s comfortable with. Rather than explain to his dad that it’s not 1987 anymore, my client has simply been telling his dad that he really needs a website if he wants to stay competitive . . . but every time he brings it up, his father hesitates and puts it off. Fast-forward a couple years: Dad’s only got one big contract left. Sure, he’s got some additional small ones, but that main client is the only one keeping his business afloat. What if we were to fast-forward a few more years? What if that client found a more competitive rate online? What if that client no longer needed that specific service at all? He’s going to have two choices: either take a risk and do the thing that makes him uncomfortable (i.e. : start advertising online), or go out of business. Life will force that decision no matter how much he wants to avoid it. Even if you want to keep your life stagnant and small (why would you want that, though, honestly? ), life will not allow it. So, you can either accept the need to take risks or let life make you a dinosaur. Why is this so important? Because if life is going to force you to take risks, don’t you want to be ready for it? Don’t you want to be good at it? If you don’t take risks for years and years, you’re going to be pretty out of practice once the chance to do so rolls around. Your risk-taking ability is like a muscle: it needs to be worked out once in a while. The more you work it, the more you’ll develop its power and proficiency. The more you let it atrophy, the harder you’ll have to work to get it back. Let’s go back to our example: what happens once life throws a wrench in the perfectly safe and boring system my client’s father has created? He’s going to have to take huge risks to get back on track, but he’s not going to be ready for them at all—he’s going to have to take on as many clients as possible, even if they’re not high-quality leads, and he’s going to have to slap together a website super quick rather than taking the time to make it excellent. By denying the chance to work our risk-taking muscle, we actually create a more frantic and desperate situation. You need to start the risk-taking/confidence building cycle now—today. It is easier to take a risk right now than it ever will be. It’s easier right now than it will be tomorrow or next week or next month. It will only get harder, and your risk muscle will only get weaker. Start small: think of your risks as different sized dumbbells—would you walk into the gym for the first time ever and start throwing around a 75-lb dumbbell? No. It’s the same with risks. Consider a risk you could take that would be the equivalent of a 5-lb weight, and start with that. Take that risk as soon as you can. Once you’ve set your cycle in motion, your risk-taking muscle will start to build up, and the “heavier” a risk you’ll be able to handle. You have the power to change the direction of your life starting today. If you can take that risk and make it a consistent behavior, you will build the kind of confidence that will allow you to make huge strides in any area of your life. Let’s make this a challenge: once you’ve taken your 5-lb risk, share the story below. Let us know how it went, what challenges you faced, and how you overcame them. I also invite you to subscribe so that we can continue to stay connected and so that you can keep current on these sessions as they’re released. 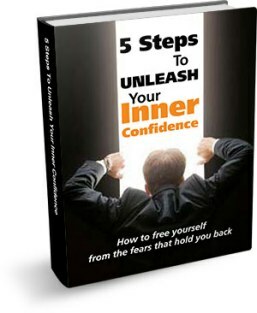 You can also go to my website, SocialConfidenceCenter.com, to receive my free e-book there and a bunch of other great information that will help you break through your confidence barriers. Until we speak again, may you have the courage to be who you are and to know on a deep level that you’re awesome.